Email is not dead. But email IS changing. 35% of consumers estimate they open 75% or more of all the marketing mails they receive. 14% of consumers open all their emails. – DMA “consumer email tracker” (2017). 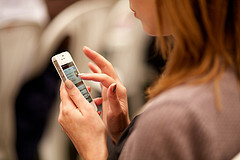 By the year 2018 worldwide mobile email users are expected to total over 2.2 billion. - The Radicati Group "Email Statistics Report 2014-2018"
More useful mobile email marketing statistics here. Marketers consistently ranked email as the single-most-effective tactic for awareness, acquisition, conversion, and retention. - Gigaom Research "Workhorses and dark horses: digital tactics for customer acquisition"
DMA research puts the ROI of email marketing in 2018 at US$ 32.28, better than any other direct marketing channel and up from 30.03 the year before. - DMA UK "Marketer email tracker 2018" (2018). 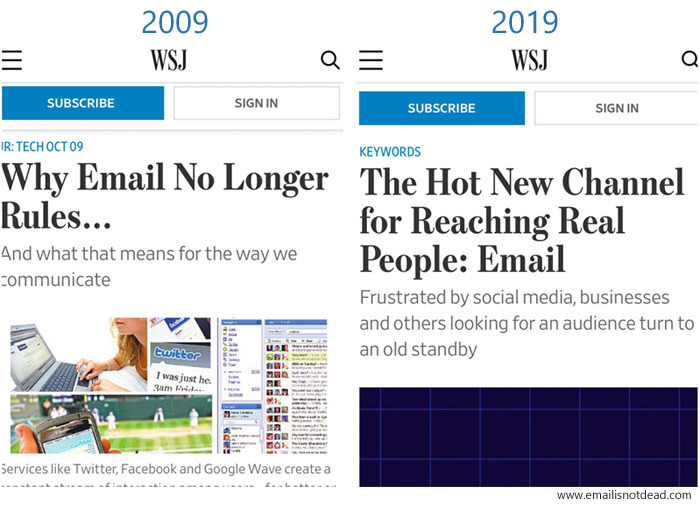 Media hype often leads to "email is dead" headlines, followed by praise for whichever new technology killed email this time. Email isn’t dead, but your strategy might be by Elliot Ross. Consumers: Keep Those Emails Comin'! Work Horse Vs. Show Horse — Is Email Marketing Being Undermined by the Lure of Social Media? by Louis Foong. Copyright 2009-2019 Maintained by Jordie van Rijn contact him.